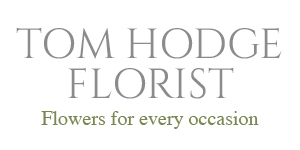 At Tom Hodge we care passionately about customer satisfaction and for this we work tirelessly to deliver beautiful fresh flowers every day. Our latest reviews have been received via our membership with Direct2florist. Each review has been verified by Feefo. Feefo is an independent review specialist and they ensure only customers that have placed an order may leave a review. My Auntie said the flowers were lovely only complaint the card had my name on it and not my Aunties. Thank you for the stunning arrangement which has been a source of much pleasure already. Recipient was very happy with the flowers and delivery was prompt. Thank you. I did not see the flowers but she said that they were lovely, Thanks. As before, wonderful service...stunning orchids were delivered plus a lovely balloon. Recipient was delighted with flower basket & it was delivered as per request. Very pleased with service and will definitely use this florist again. Many thanks. The arrangement was beautiful & delivery as requested.